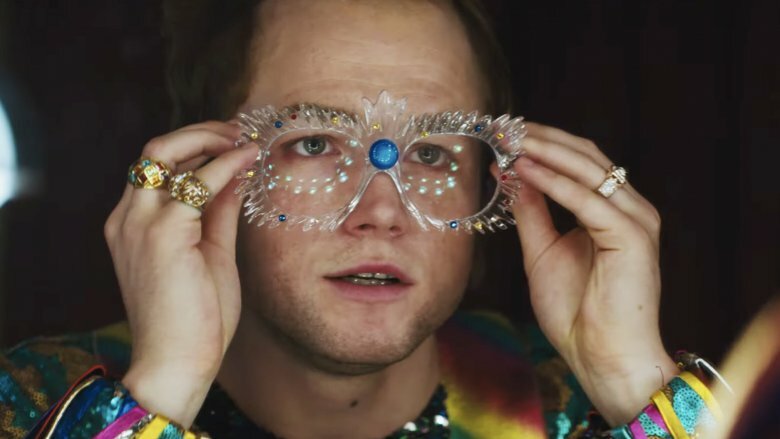 In 2012, Rocketman was little more than a glimmer in the eye of everyone involved, but the backstage was already plenty busy. According to Rolling Stone, Billy Elliot writer Lee Hall was already writing the script and Sir Elton John himself was confident on the tone and timbre the eventual movie would take. At that point, the film didn’t have a director or a solid lead attached, but John already had an eye on the man he felt would be best equipped to play him: Justin Timberlake. The NSYNC heartthrob turned solo superstar and actor may seem like a choice out of left field, but the inspiration didn’t come entirely out of the blue. In 2001, Timberlake starred in a music video for John’s song “This Train Don’t Stop There Anymore,” playing a ’70s version of Elton John, and apparently Elton really liked the job he did. As Ultimate Classic Rock reports, Timberlake went on to revisit the role in 2013, when he opened his Saturday Night Live hosting gig with a sketch where John is playing at the funeral of Venezuelan President Hugo Chavez.